← Our healing is tied to the healing of our people. VICTORIA Police has started using futuristic new traffic cameras to nab drivers who text, talk or tweet on mobile phones. Camera operators can zoom in and snap offending drivers from 700m away — long before motorists spot the camera. Mobile phone users caught by the hi-tech traffic cameras will be hit with a $433 fine and get four demerit points. IMPORTANT FOR SAFETY OR TOO INTRUSIVE? Tell us in the comments below. The new cameras will also be used to detect and fine drivers and passengers who aren’t wearing seat belts, as well as motorists driving carelessly by doing such things as applying make-up or eating at the wheel. 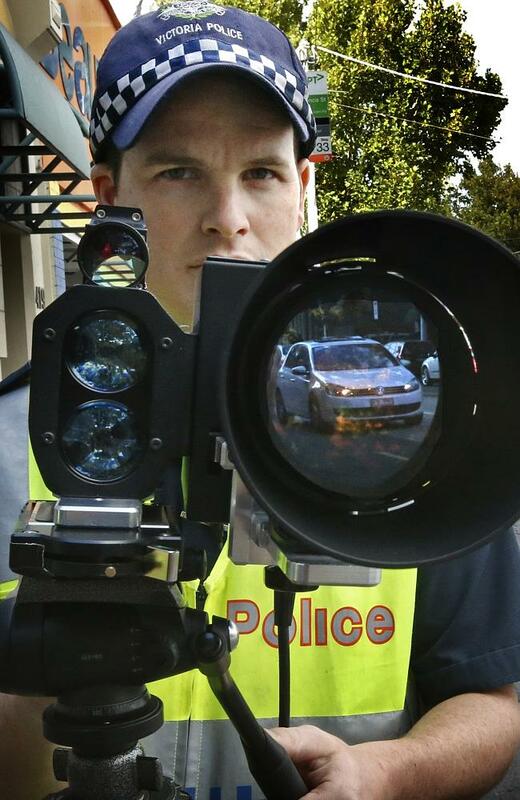 Top traffic cop Robert Hill yesterday confirmed the new hi-tech cameras will be out in force from today in what will be Victoria Police’s longest and biggest ever Easter road blitz. “We received the technology last week. We have trained our members and we are now deploying the technology across Victoria,” he told the Herald Sun. Speeding, drink, drug and distracted drivers will be busted by thousands of police on patrol and hundreds of fixed and mobile traffic cameras during the record Easter blitz. Assistant Commissioner Hill said the new cameras to tackle driver distraction were a welcome addition to the arsenal of other detection devices that will be used during the Easter crackdown, which will run for 13 days from today. Because the new cameras are mobile they can be moved and set up quickly in many locations — so motorists never know where or when they will pop up. “I drive the Monash Freeway to and from work and what I see in congested traffic are people taking their eyes off the road, being distracted and looking at their mobile phones,” assistant commissioner Hill said. “These irresponsible drivers are putting themselves and others at risk and that’s a concern to Victoria Police. “This new piece of technology is a way of combating that. “With these cameras we can see from 700m away who is distracted and who is not concentrating. “We can see them before they can see us. 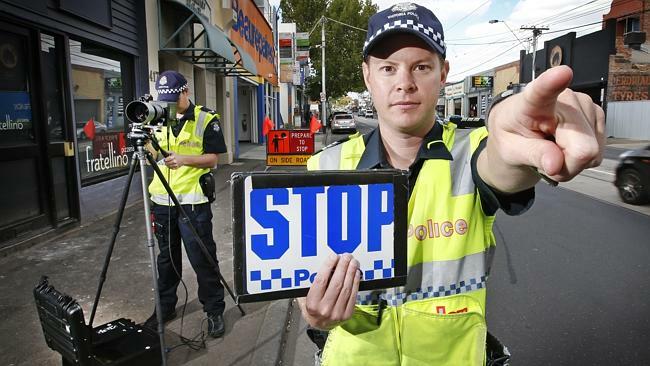 “We don’t need to actually see them holding their mobile phone for them to be breaching the road rules. The Herald Sun has also discovered speed camera commissioner Gordon Lewis is recommending the State Government buy an even more sophisticated version of the new cameras Victoria Police has just started using. Mr Lewis last week made the recommendation in a letter to Police Minister Kim Wells after attending a UK road safety conference, where he was briefed on the car-mounted cameras police in Manchester, England, are using to target mobile phone use in particular. Victoria Police has already sent a team of officers to Manchester to watch the cameras in operation. Assistant commissioner Hill yesterday said they would be a valuable addition to the road safety tools available in Victoria, but it was a matter for the State Government to decide whether or not to buy them. 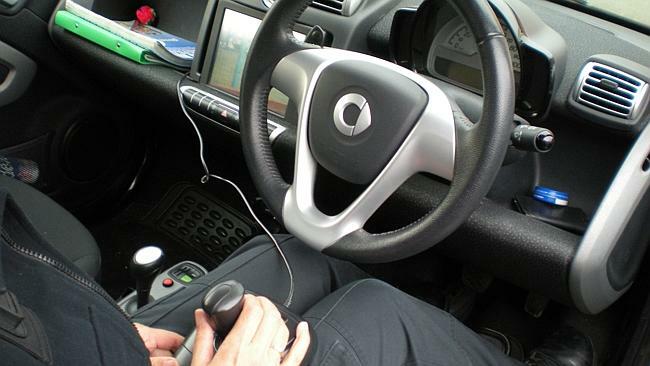 Mr Lewis said he was impressed by how good a deterrent to dangerous driver behaviour the UK car-mounted cameras are. “I would like the State Government to consider their introduction here,” Mr Lewis told the Herald Sun yesterday. “Using a mobile phone while driving and failing to wear a seat belt are already offences. What I propose is a process designed to assist in the detection of these offences. “I believe I speak for the great majority of motorists when I say that road users are utterly intolerant of the menace created by drivers who are either distracted by the use of a mobile phone or, perhaps worse, devoting their attention to texting. “Once the telescopic camera is deployed the operator can view oncoming traffic at a distance, with the ability to pivot the camera about the telescopic arm as well as zoom in to get a clear view of what is happening inside the vehicle. “I am not alone when I say I am sick and tired of having distracted drivers immobile at green lights in front of me, or threatening to rear-end me, because of lack of attention. “Driving is a full time occupation, not a part time responsibility to be squeezed in while steering a mobile telephone box. Even without the new cameras, almost 80,000 drivers in Victoria were last year fined more than $29 million for mobile phone and seat belt offences. The UK camera system Mr Lewis is recommending is used to automatically send fines out to drivers in the same way Victoria’s speed and red light camera system already works. 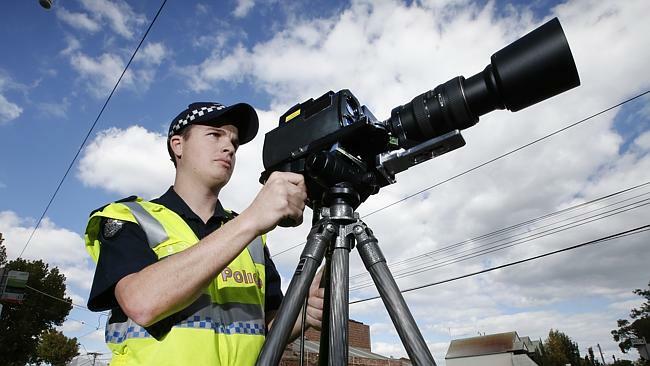 Victoria Police is using a similar camera, with the same capability as those police in Manchester are using, but a legislative change would be needed for them to be used to automatically issue fines. Instead, police in Victoria are mounting the new cameras on tripods and using officers in patrol cars to immediately intercept and fine offending drivers. The traffic cameras Mr Lewis is recommending for use in Victoria sit on top of extendible poles fitted to the roof of cars. They are controlled from inside the car by a camera operator who uses a joystick to rotate them through 360 degrees, extend them to a height of 3.6m and zoom in to get close-up views of offending drivers. Because the spy cameras are attached to the roof of a car they can be moved and parked just about anywhere. 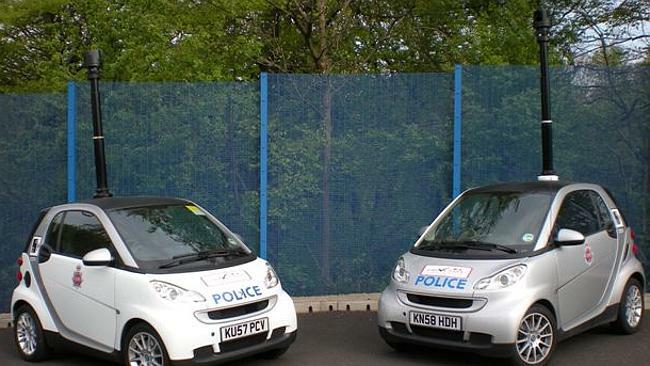 The UK camera cars are marked police vehicles, but, if introduced in Victoria, it is possible the cameras would be fitted to unmarked cars as mobile speed camera cars used here are unmarked. 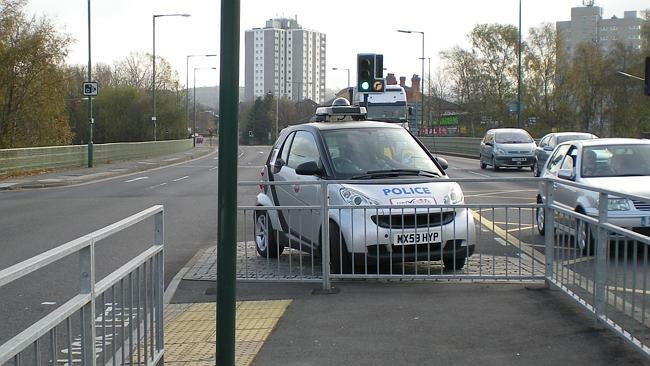 Police Minister Kim Wells yesterday said the traffic camera car technology being recommended by Mr Lewis would be evaluated. “Victoria is considered internationally to be a leader in road safety and always interested in potential advances in road safety technology,” he told the Herald Sun. “When assessing new technology, Victoria Police and the Department of Justice consider whether the technology is appropriate and compatible for local enforcement and its potential to make Victorian roads safer. 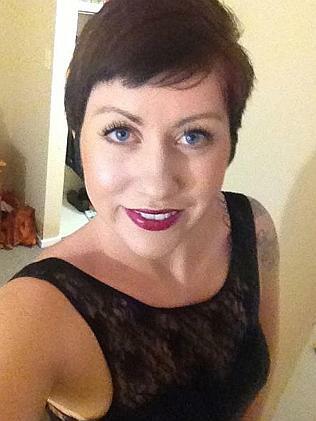 A Victorian TAC campaign against driver distraction was launched last year by Vicki Richardson, whose daughter Brooke, 20, died in December 2012 when her car hit a tree just moments after she had been texting. Ms Richardson made an emotional public appeal to motorists not to be tempted to use a mobile phone while driving. “It’s just not worth cutting a life short,” Ms Richardson said. Mr Lewis yesterday said the presence of cameras to detect drivers using mobile phones would help prevent tragedies like the senseless death of Brooke Richardson. The Victorian Government’s latest road safety action plan claims texting increases the risk of a crash or near-crash by up to 15 times for car drivers and more than 20 times for truck drivers. It also claims 80 per cent of crashes and 65 per cent of near crashes involve driver inattention in the few seconds prior to the onset of the crash or near crash. The 2013-2016 plan also revealed almost half of all truck drivers killed during the past three years were not wearing a seat belt and that wearing a seatbelt doubles the chances of surviving a serious crash. Assistant commissioner Hill said the new camera to detect driver distractions — known as the Ranger camera — was just one of the techniques officers will use to capture irresponsible drivers during the high risk Easter and Anzac Day holiday period. He said police from Highway Patrol, general duties and specialist areas would be saturating Victorian Roads in a bid to reduce road trauma. “This is one of the most significant road policing operations conducted in this state over the Easter period,” assistant commissioner Hill said. “History tells us that we experience significant trauma on our roads during the Easter holiday break. “Over the past five years, 1385 people have suffered as a result of 1018 collisions on Victorian roads. That means 22 people have been killed, 528 have suffered life threatening or life changing injuries and 835 suffered minor injuries. “As a community, we need to more to reduce the pain and suffering. We all have a role to play to reduce the risks on our roads. “We know that during this time people will be travelling to see family and friends, they will be on unfamiliar roads, driving long distances with distractions in the car. These factors are what result in terrifying collisions. My message is plan your trip, take regular rest breaks and stay alert and focused. “We’ll be doing what we can to ensure that people behaviour responsibly. “We will be using the Ranger. We know motorists are quick to put their phone down and put their seatbelt on when they see a police car. With this long lens camera, we will see them first. “During this long weekend there are a lot of people riding dirt bikes off road. We’ll be watching this closely because it causes high levels of trauma.